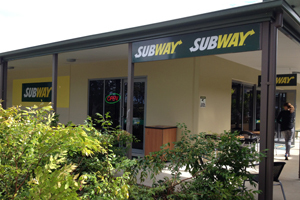 For great food in a hurry you can’t go past one of the convenient take-aways and diners located all over Mount Tamborine! 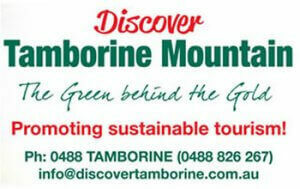 Tamborine Mountain keeps striving to preserve the village character that made it so famous. When visiting you might notice the absence of just about all of the (inter)national fast food chains! 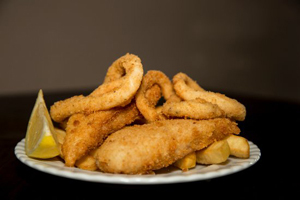 You will find a great range of top-quality take aways, fish and chip shops, retro diners and pizzerias catering for every taste and budget! Your taste buds will thank you! 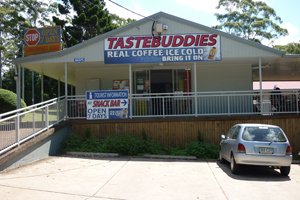 “Taste Buddies Convenience Store” Your first stop on your way up the mountain via ‘Henry Robert Drive’. 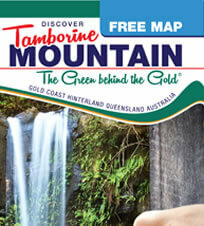 Easy parking and friendly service, mountain information and free maps and directions. Eat in (on the covered deck) or take away, all day breakfast, Mrs Macs Pies, coffee, cold drinks, ice cream and lollies galore. This entry was posted in Eating Out, Takeaways and tagged Convenience Store, Eating Out, Siganto Street, StBernards Corner, Taste Buddies on January 1, 2013 by admin. Classic Italian Pizzeria! 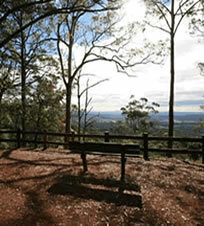 “Pinnacle Pizza” has been making delicious pizza on Tamborine Mountain for over 20 years! The owner Freddy (of Swiss origin) always greets you with a smile and is ready to make a pizza just the way you like it! Gluten free pizzas available. Check the $20 special deal (pick-up only). Open Wednesday through to Sunday from 5pm til late (closed Mondays and Tuesdays). Home delivery. This entry was posted in Eating Out, Takeaways on January 1, 2013 by admin. Weekly Specials! 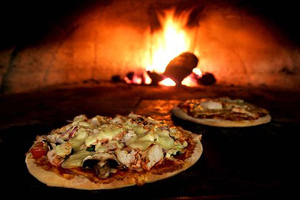 For mouthwatering fresh pizza cooked to perfection in our wood fired oven you can’t go past “Tamborine Mountain Pizza” . 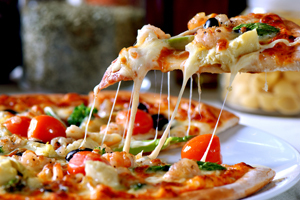 Generous toppings, fresh dough, using many local ingredients. Ring ahead to avoid waiting, or for home delivery. Open 7 days 5 pm til late. 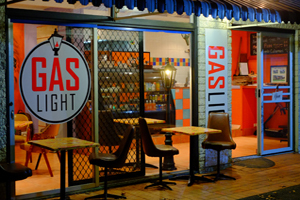 This entry was posted in Eating Out, Takeaways and tagged Eating Out, fast food, Takeaway, Tamborine Mountain Pizza on January 1, 2013 by admin.